This is an automotive enclosure model using Solidworks. I’ve based my design around Cinch’s 5810130043 with a few improvement. Apart from price, the main difference between Cinch enclosure and mine is that mine can be 3D printed using standard FDM printer and is also inject mold friendly. 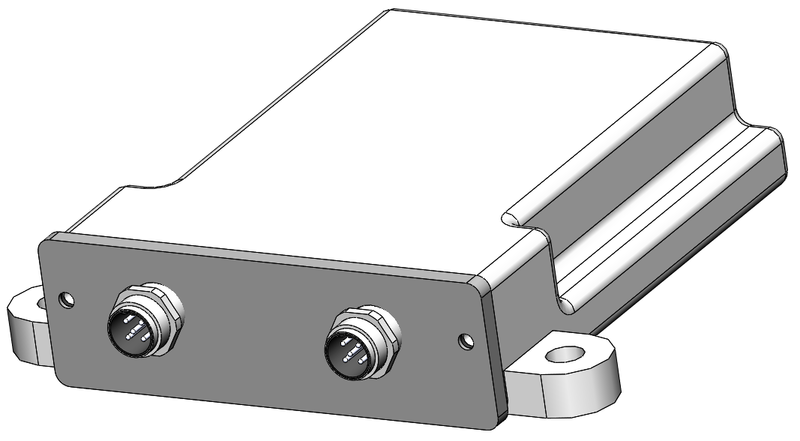 What I like about this type of enclosure is that you can easily mount connectors directly onto the lid of the enclosure and that you can slide in your PCB using internal guide/support rails. My main drive to make this enclosure was that I wanted to be able to quickly print an IP rated enclosure whenever I need to test a new board on a truck. 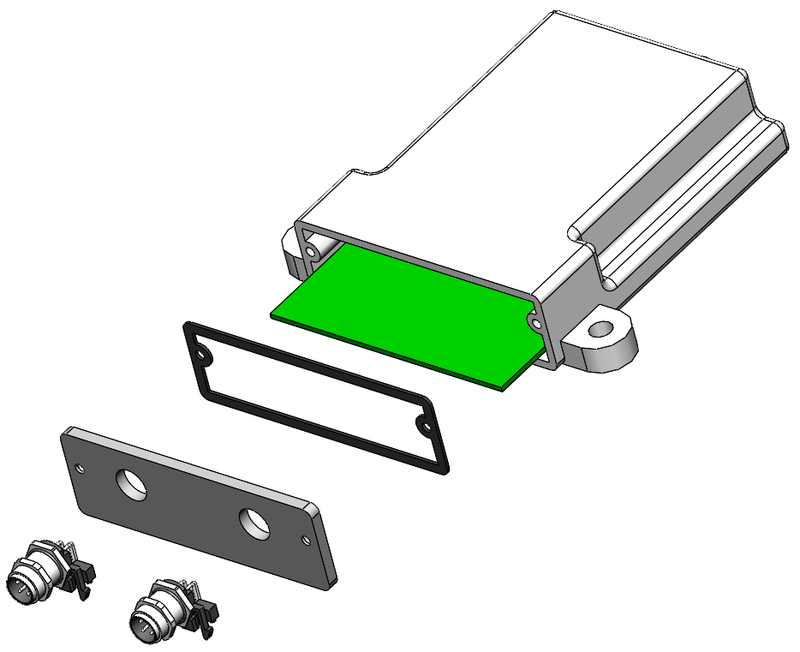 The problem is that the enclosure that I was planning on using are quite expensive for a quick prototype and they have a limited range of connectors that you can use. If that wasn’t bad enough, quite often the manufacture won’t sell lid without the connectors already mounted. 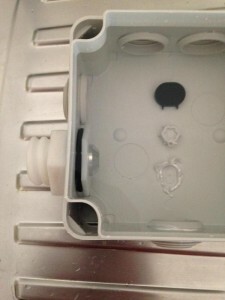 With my design, you can easily alter the lid so that you can mount the connector that you want to use or you can just do what I sometime do and that is to print a blank lid and drill the holes afterwards. If you’re planning on 3D printing the enclosure, then make sure that your printer is capable of printing water tight parts. Try printing some sort of cup to see if your prints can hold water. Bare in mind the type of material you use on you print will have an effect on the water tightness of the enclosure. 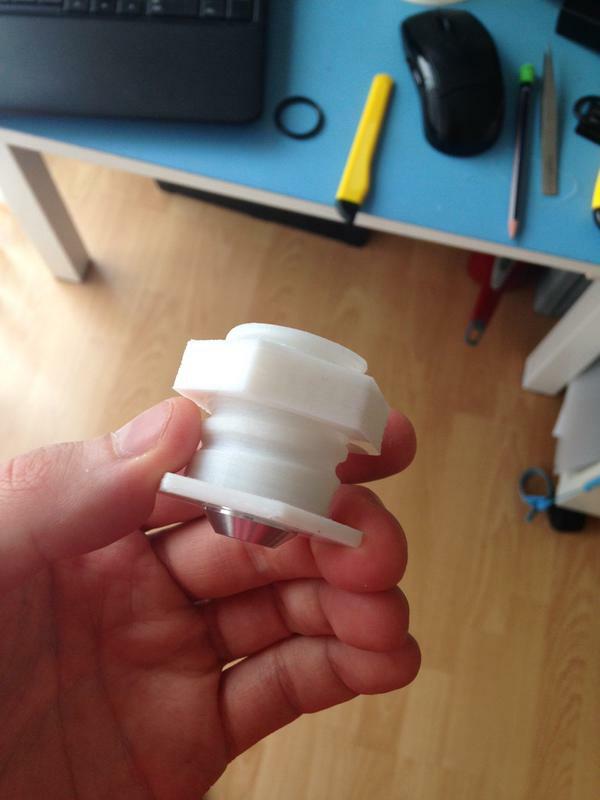 This is the adapter I printed to test an ultra sound sensor. which helped check if my printer could print water tight parts. I’m planning on using the NijaFlex rubber filament to print the main seal. I’ve done some basic test on the flexibility and water tightness of this material and I feeling comfortable that it will do the job. That said, I’ve not tested how well the material fairs at lower temperature (such as -20C to +40C) but for a short term prototype I’m not worried. Note: For the most recent version of the files, please visit this repository by following the link bellow. You can download the complete projects files from our Github repository. Note: The repository also includes the Solidworks models and the example assembly.